nine block area. With three blocks North and South and three blocks East and West, it is just the right size for taking a little time and walking around. consignment stores for such a small area, so, if you are looking for that special item, it is pretty high odds that you will find it in one of these shops. For the Ladies there are several consignment shops carrying nice clothing. On Main, the Clothes Horse has a large selection of ladies clothing. Across the street, side by side, you will find Just Chic and Just Plus which specializes in larger sizes. Need clothes for the toddlers? There is Little Britches on First. Along with a large selection of clothing for toddlers, you can have personalized covers custom made for that baby carrier and they even embroider monograms for you. Over on second you can find Sugar and Spice where there is an incredible selection of children’s clothing from infants to early teens. If you are just starting out and need nice furniture at a very reasonable cost, you need to check out A&G’s and A&J’s. Yes they are brothers and they both carry a large selection of furniture, antiques and collectables. Just a couple of doors down you will find The Elm. Very nice high quality furniture and the prices are right. Over on 1st you can find three almost next door to each other. Wellingtons Frame shop has a nice selection of consigned items along with their frames and art. 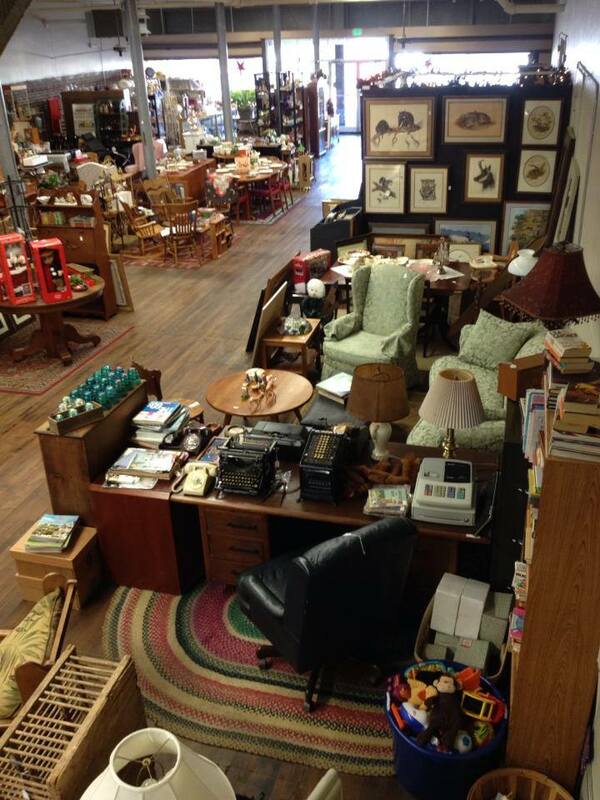 This and That has it all, furniture, knick knacks, and collectables. I keep finding the old toys that I played with fifty or sixty years ago. Don’t you just hate it? I swear that was my cap gun! They are a joy to bargain with. If you are like my wife and I, downtown Henderson is a gold mine for the unusual, antiques, and hard to find items. My wife loves to decorate our home and is always adding new items and changing things around. She not only buys in these shops but she sells items there also. She calls it recycling. She bought a spoon the other day and that evening, I found myself moving furniture around! The spoon went in the kitchen as a decoration and then, of course something had to come out and be moved to another room and on and on.